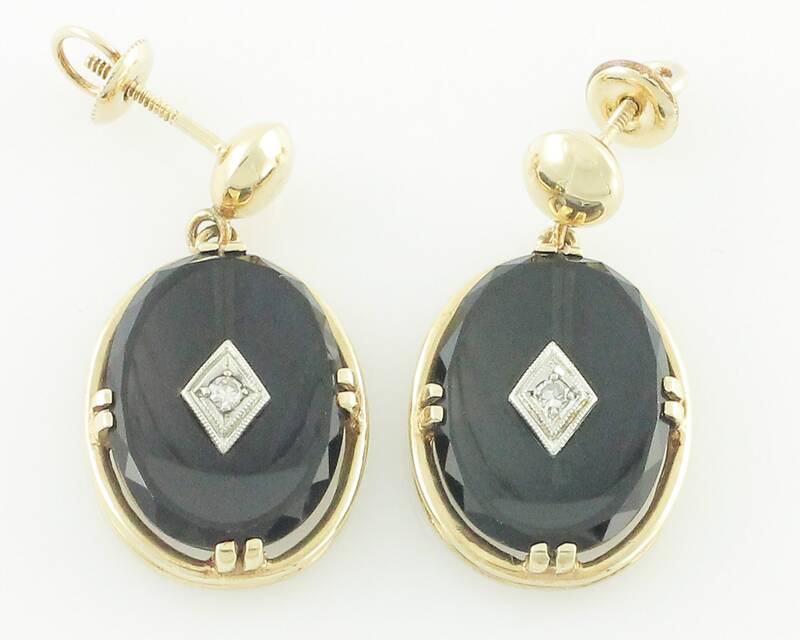 Gorgeous Vintage 10K Earrings with Black Onyx and Diamonds. 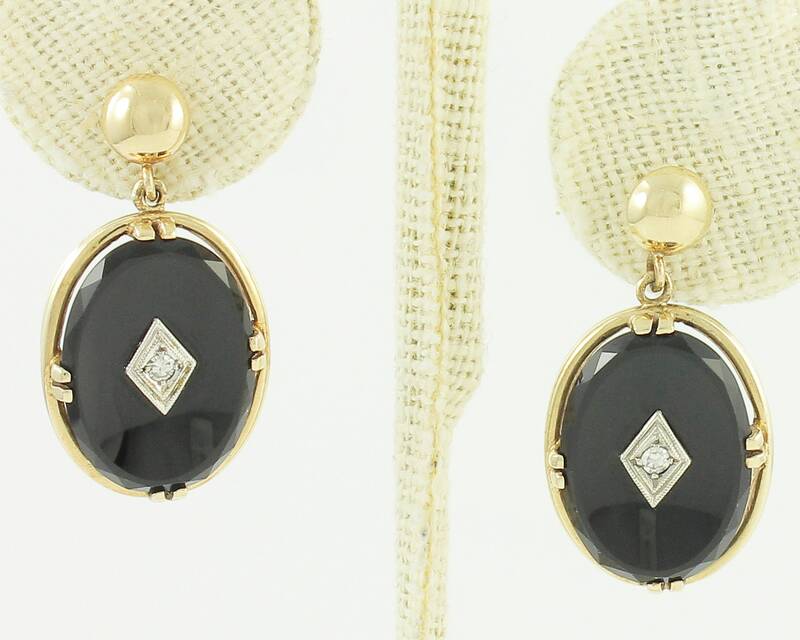 Made in the 1940s, each of these earrings features a concave oval of black onyx with faceted stone edges. Each earring has a single cut diamond bead set in a white gold diamond shaped plate with milgrain detail. The black onyx is set in four sets of double prongs atop an oval frame. The ovals measure 19.7 mm X 15.6 mm. These earrings were converted from non-pierced to pierced earrings with screw posts at some point in time. We are including two screw backs that fit the earrings. One back is marked 10K and one is 1/20 12K. CONDITION: Very Good Vintage Condition with minor surface wear. Earrings were previously owned and worn.